As a leading provider of Spend Management tools, Ariba needed a contemporary image and materials that communicated its brand and offerings to clients such as FedEx, Sun Microsystems and American Express. It started with a fresh new visual identity. Then Brainforest applied the new look to a range of sales materials that drove home the bottom-line value Ariba brings to its customers. 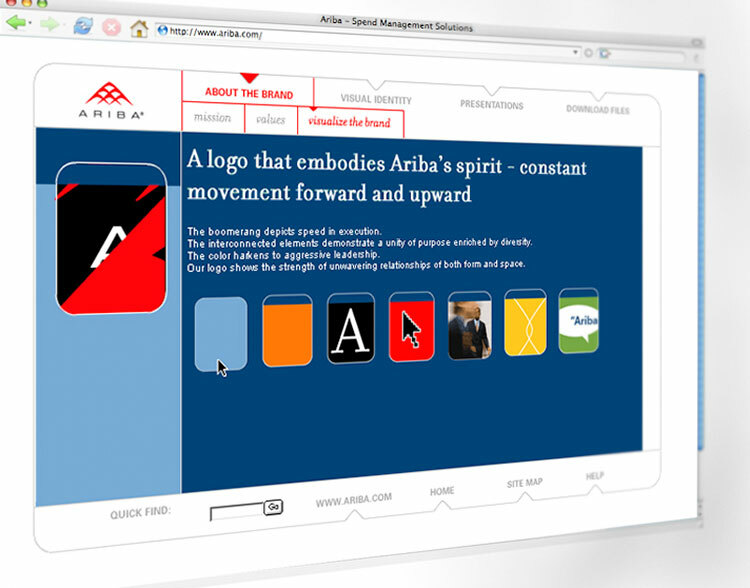 Next, an intranet site was created to give easy access to internal and external Ariba partners.